Frog Capital is a European ‘Scale-Up’ Venture Capital investor focused on software enabled companies that have achieved product market fit and are showing good momentum in industries undergoing significant digital change. Through their proprietary investment criteria and robust deal-sourcing process, Frog invests in the best technology companies across Europe looking to scale-up. As ‘The CEO’s VC’, Frog Capital comprises a team of former entrepreneurs, operational experts and experienced investors, who assist CEOs that are looking to scale-up their business. Frog Capital provides the capital and expertise to achieve this. Frog European Growth I is a €90m fund backed by a combination of 14 institutional and family office investors, including British Business Investments Ltd who invested €9 in May 2016. FEG I is a concentrated portfolio with a VC strategy and PE approach. Through proactive portfolio monitoring and engagement, Frog provides strict operational control and oversight. 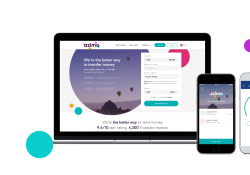 The current European Scale-Up portfolio includes: Azimo, a leading European digital money remittance platform; Vulog, the largest global provider of free floating car sharing software; and McMakler, Germany’s largest hybrid estate agent.